A $1 bln fundraising by Flipkart underscores a China-like opportunity. Yet rivalry will be fierce, because the market is more open than the Middle Kingdom. The ambitions of companies like Amazon and eBay make it unlikely India will create a home-grown answer to China’s Alibaba. 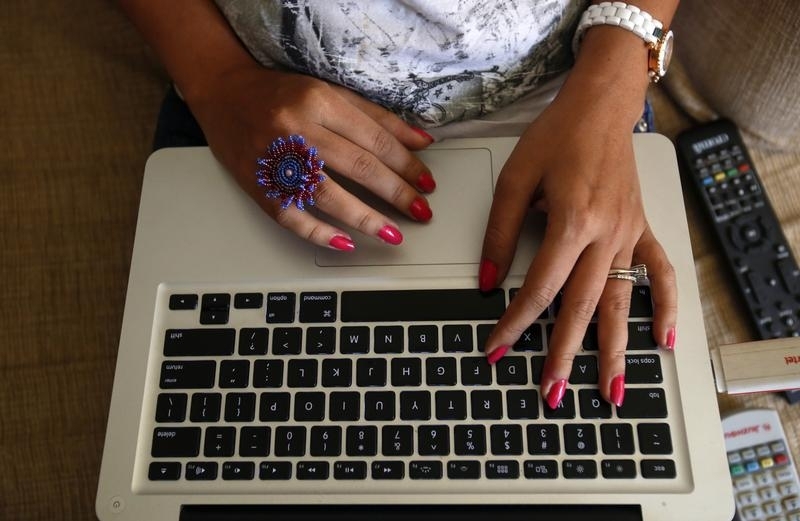 The hands of Malini Agarwal, blogger-in-chief of missmalini.com, are pictured as she blogs from her living room in Mumbai, January 22, 2013. Amazon announced on July 30 that it will invest an additional $2 billion in India to continue its rapid expansion, a day after local market leader Flipkart announced a fundraising worth $1 billion. Online marketplace Flipkart said in a statement on July 29 that it will use the funds to make long term strategic investments in India, especially in mobile technology. Singapore’s sovereign wealth fund GIC participated in the Flipkart fundraising along with existing investors Tiger Global Management, South Africa’s Naspers, and Morgan Stanley Investment Management. Flipkart was launched in 2007 by two former Amazon employees. It has 22 million registered users, handles 5 million shipments a month, and has a gross merchandise volume of $1 billion. “We don’t need to go for an IPO. The investors are not in a hurry. An IPO will happen when our business model has stopped evolving”, said Flipkart co-founder Sachin Bansal told India’s Business Standard newspaper. “India is set to have many $100 billion companies and Flipkart could be one of those. We are ready to do what it takes”, he added. In May, the company raised $210 million. In the same month, it acquired fashion portal Myntra. That deal that was worth about $300 million, sources told Reuters.